Lienkie was born in Pretoria in 1949 and is the daughter of the late Dr Jan Richter. She was raised in Western Transvaal and in 1971 she obtained her BA degree in Art at the University of Pretoria – shortly after she married Nico Lombard. 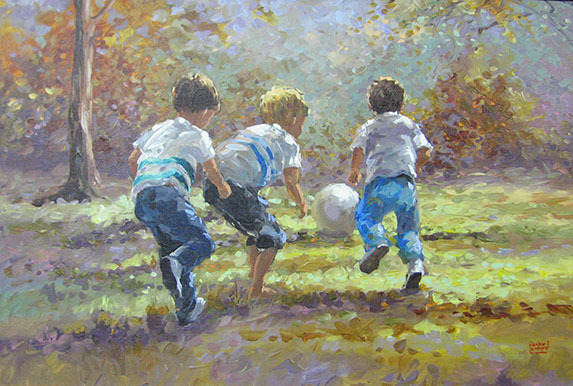 Lienkie’s subject matter ranges from the bushveld, animals, birds and people. 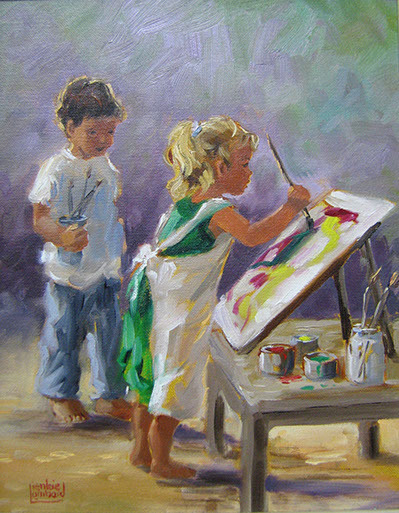 She experimented with various mediums, she started with water paint, oil, acrylic and other media. The one thing that inspired her most was drawing children. Lienkie is well known for her figures and children and she loves portraying them in an almost lost romanticism – playing guitar, catching fish, lying in the grass, etc. 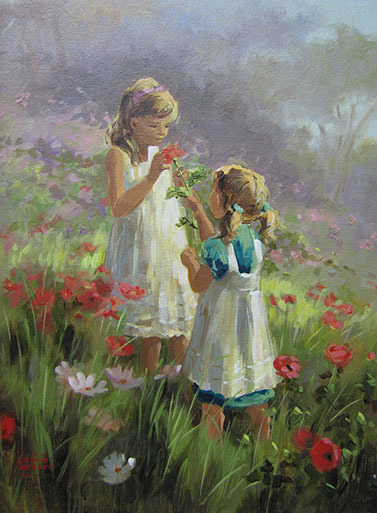 Lienkie has a timeless effect that she creates in her artwork that captures the heart of the viewer immediately.